Solar power production was estimated from hourly solar insolation data collected at 19 sites across Illinois from 1991-2004 by the Illinois State Water Survey (ISWS). Values were compared with more limited, experimental data and a solar radiation model reported in the literature. All prior data sources are in good agreement with the ISWS values with discrepancies noted. Based on analyses of the current Illinois data, an estimate was made of potential power production from small to medium-sized photovoltaic modules and systems in Illinois. ISWS insolation data were converted from observed values using flat-plate pyramometers oriented horizontally, to expected values from south-facing sensors tilted from horizontal by the latitude of each station, a typical orientation of photovoltaic systems. Champaign, Illinois, centrally located in the state, was chosen as a hypothetical solar power array site. A large operational array in Arizona was used as a model of photovoltaic system performance. Expected differences in power production due to technologies chosen for the hypothetical array and climatological conditions in Illinois as compared to the model array were considered. The use of concentrated solar collectors was not explored. The expected power output based on two array designs was calculated to be 134-180 kilowatt hours per square meter of array per year. Considering the unsubsidized cost of a photovoltaic array necessary to provide power for an individual dwelling, the system cannot expect to match grid power on a cost basis at this time. However, the comparison becomes more favorable in relatively remote locations where transmission lines for grid connection must be established. That is, photovoltaics may be cost effective for small remote applications such as powering billboards, but generally not for homes or businesses. Cost effectiveness of photovoltaics increases significantly when major subsidies and economy-of-scale discounts in both module and balance-of-system costs are available to reduce the initial system price and with designs of large-scale array systems. Photovoltaics also may be worth considering to offset the most expensive power produced by utilities, peak power, and for distributed power generation providing grid support. 1. 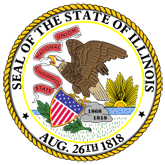 Evaluation of the potential for pholotvoltaic power generation in Illinois. (20061005225131_ISWSIEM2006-05.pdf).